RNA-Seq has become one of the most popular methods in gene and transcript level genomic research. It could help quantify gene and transcript expression, identify sequence variants and detect gene, transcript or exon level genomic events. Array Studio provides a variety of functions powerful enough for small and large scale genomic research. In this article, we will introduce a few basic and the most commonly used functions, including sequence quantification, gene annotation, exon junction detection and gene fusion detection. ArrayStudio provides a number of modules and options for RNA-Seq quantification at gene, transcript, exon and exon junction levels. Both FPKM and Count tables can be generated. Example RNA-seq gene count table and its corresponding design table. Alternative splicing has been shown to play an important role in a number of human diseases, including cancer, cardiovascular and neurodegenerative diseases. In Omicsoft Array Studio and the Land products, we provide modules and visualization functions that make it easier for users to research splicing. In RNA-Seq analysis, besides gene and transcript counts, Array Studio can report exon junction counts as well. Results can be visualized in Omicsoft's Genome Browser. Exon junction report and genome browser view. Mutation data allows user to compare mutation frequencies and research individual variants. Users can run the Summarize Variant Data module to annotate variants. Variants can be annotated in Mutation Reports or VCF files, and visualized directly in the Genome Browser. Mutation annotation report and example genome browser view of variant V600E. Map Fusion Reads module will detect fusion genes from fusion junction-spanning reads which can characterize fusion genes at base pair resolution. This works with single end or paired end data. Combined Fusion Analysis will run fusion junction spanning + inter-transcript fusion read pairs detection at the same time. It detects fusion junction spanning reads from unmapped reads in BAM files, and detects inter-transcript fusion read pairs from singletons from BAM alignment entries. It will return a report showing potential fusion genes and counts for each fusion junction Combined fusion analysis can only be run on paired-end data. Fusion report reports fusion count data with fusion annotation information attached. Fusion genome browser can display sequence information at base pair resolution. Omicsoft Next Generation Sequencing (NGS) analysis includes NGS (next generation sequencing) bioinformatics tools for the entire process, from QC to alignment to post-alignment summarizations and analysis. RNA-Seq data analysis is a critical part of Omicsoft's NGS bioinformatics tools. In this article, we introduce our tutorial on how to get started with RNA-seq pipeline analysis and data QC. A typical RNA-seq analysis project consists steps from data quality control, alignment, aligned data quality control to data quantification, visualization, and statistical inference. In Array Studio, users have the choice of either executing each step of the analysis one-by-one, or can use the RNA-seq pipeline function. It only takes a few clicks to create a new RNA-seq project and run RNA-seq pipeline. RNA-Seq Pipeline. Users have the options to choose to perform analysis steps such as raw data QC, post-alignment data QC, exon junctions, sequence quantification, mutation and fusion detection. If you choose to perform analysis step by step, before aligning your RNA-seq data, you must first perform quality control (QC) on the raw data, to spot common problems like adapter or barcode sequence contamination, degraded quality at ends of reads, or problematic samples. The Array Studio Raw Data QC Wizard reports a number of useful measures of raw NGS quality, and can be generated as part of the RNA-seq pipeline function. Array Studio's NGS Filter function can trim low-quality bases from raw NGS data, filter out uniformly low-quality reads, and strip away adapter sequences. The RNA-seq pipeline assumes that input reads are pre-filtered and stripped, so only quality-based trimming and filtering will be performed in the pipeline (no adapter stripping). It is a good idea to run the Filter function on your reads, based on the raw data QC results, before running the RNA-seq pipeline. Array Studio automatically generates an Alignment Report after aligning reads to the genome or transcriptome. Additional alignment statistics can be generated by running the Aligned Data QC and RNA-seq 5'->3' Trend modules. Alignment report is automatically generated after alignment. The best way to quickly learn how to perform these analysis steps is to watch our short video tutorials Getting Started with RNA-seq pipeline functions. Please stay tuned for more blog articles on RNA-seq analysis. Besides basic navigation, visualization and annotation of genome sequence, the Omicsoft Genome Browser also enable users to perform advanced analysis on sequence variants, fusions, isoform expression, and copy number variation data. In this blog, we will introduce Genome Browser Advanced Analysis of Variants, Fusion and Isoform Expression. The Omicsoft Genome Browser can display sequence variants from your .BAM files. You can directly add annotation tracks from .vcf files, or even load .vcf files from Genomemark to quickly navigate your variants of interest. Variant information and aligned read sequence in .bam coverage track. The Array Studio Fusion Mapping method identifies putative gene fusion events in DNA-seq and RNA-seq data, outputting both a Fusion Report and a set of .bam files containing only fusion-mapped reads. These reads can be viewed in the Genome Browser, and you can go directly from the Fusion Report to the Genome Browser to view both ends of the fusion in split-pane. Specific gene isoforms may play an important role in certain body functions. You can use Differentially Expressed Isoforms module in Analysis tab to identify interesting isoforms. In the Genome Browser, you can display relative transcript usage between sample groups to visualize and confirm reports of differential transcript usage. Example of relative transcript usage between lung and skin tissues. As we can see, transcript us003lvs4 is highly expressed in skin tissue, which is in purple. The other transcript is mainly expressed in lung tissue, which is in blue. Omicsoft Genome Browser allows user to visualize copy number variation (CNV) data. You can integrate DNA-Seq .bam coverage, SNP chip intensity and segmented CNV calls data for visualization. Please refer to DNA-Seq and copy number variation analysis tutorial to learn how to obtain and generate the data: DNA-seq pipeline .bam and segmented CNV calls, SNP chip intensity and segmented CNV calls. Copy number variation data from DNA-Seq and SNP array datasets. Omicsoft Genome Browser has hundreds of features or options available. The best way to quickly learn to utilize our genome browser is to refer to our short video tutorial clips. Again, please check out our tutorial Genome Browser Advanced Analysis of Variants, Fusion and Isoform Expression. Omicsoft Genome Browser is a fully-featured genomic data visualization interface. It is fully integrated with Array Suite (Array Viewer, Array Server and Array Studio). 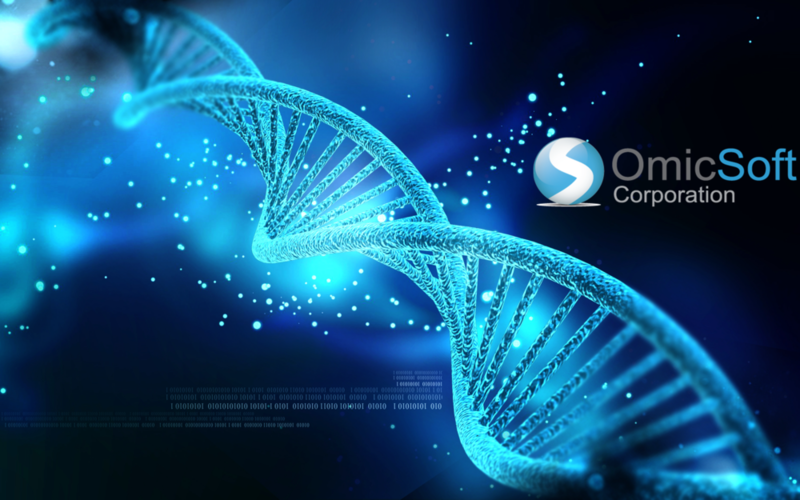 Omicsoft Genome Browser empowers Array Suite's visualization capacity on a variety of different genomic data types with hundreds of functions and features. In this blog, we are glad to introduce our video tutorial: Getting Started with the Genome Browser. Starting from the most basic features, we present to you how to navigate, visualize and annotate your genomic data. Omicsoft's Genome Browser has a very user-friendly user interface with powerful features. Navigation toolbar provides a variety of navigation features, from searching gene, transcript or sequence to jumping through genome region, adjusting, from zooming in/out to hiding, splitting or saving views. By bookmarking to Genomemark, queried genome region will be bookmarked for future usage. Track properties window allows user to fine-tune track display. Alternatively, if you have files saved in Analysis project already, you can also right click on data object to create new genome browser, and Add Track from Analysis in Genome Browser. Add Track from Analysis. Select the data you just created new genome browser in Analysis tab. Exon Junction Curve marks exon junction positions. Exon Junction Details indicates the orientation and the number of sequence mapped to exon junction positions. Alignment Profile displays aligned sequence. Show Variant displays variant loci and mutation frequency. The Omicsoft Genome Browser provides several ways to annotate genome features and visualize genome coverage, as well as splicing, read quality, and variation. For example, you can annotate ChIP peak locations and regulatory regions from Browser-Extensible Data (BED) files. Omicsoft provides many popular annotation tracks, or you can add your own. If you created .bedgraph files for viewing NGS coverage in other genome browsers, you can quickly load these into the Omicsoft Genome Browser. BAM Summary (BAS) files retain coverage, exon junction, and sequence variant information from BAM files, but can be up to 63x smaller. To learn how to navigate these files and tracks, please check out our tutorial video 2 Annotating Genomic Features and Coverage for details. Figure 1: Mutation frequencies, spectra and contexts across 12 cancer types. Kandoth, Cyriac, et al. "Mutational landscape and significance across 12 major cancer types." Nature 502.7471 (2013): 333-339. Figure 2: Characterization of variants caused by reprogramming method. Bhutani, Kunal, et al. "Whole-genome mutational burden analysis of three pluripotency induction methods." Nature communications 7 (2016). 1. Calculate total mutation burden of every sample in TCGALand. To calculate the number of total mutations per tumor sample (mutation burden), you can simply use Summarize Sample Mutation Count under Analytics tab in Land. By specifying the individual nucleotide changes, for example "A->C", the result will calculate the total number of mutations (from a selected GeneSet) mutated in each sample (from selected SampleSet). Mutation burden variable view. Y-axis represents mutation number. X-axis represents different samples. Using local analysis functions, you can further research mutation burden in each tumor in Land data. The Summarize function allows user to calculate the mean mutation number grouped by tumor type, or other preferred grouping options. In this way, we can easily tell which tumor type has the highest mutation burden. To learn how to exactly perform the above analysis, please watch our OncoLand case study: Visualize "mutation burden" of each tumor in TCGALand. Summarizing mutation frequencies within a protein complex, members of a pathway, or even across the genome, can give insights into differences between tumors. Combining the power of OncoLand and Array Studio functions, you can explore mutation frequencies. For example, let's take a research example using the Swi/Snf complex, which can regulate chromatin remodeling. Swi/Snf complex is multi-subunit ATP-dependent chromatin-remodeling complex. Early studies have suggested that the Swi/Snf complex plays a role in cancer development, likely to be tumor suppressors. ( Nature Reviews Cancer article: The SWI/SNF complex — chromatin and cancer). Mutations in the members of this complex have been linked to various cancers. You can leverage OncoLand to query samples containing those mutations. Please check out the detailed OncoLand case study video tutorials. SampleSet results from Summarize Sample Mutation Count analysis by inputing all gene names from Swi/Snf complex as GeneSet and group by Tumor Type. The mutation count is sorted by the number of mutations in each sample. There are multiple ways to visualize mutation (frequency) differences in Swi/Snf. Without using land views, we can still achieve this goal in Array Studio. Array Studio empowers users to perform hundreds of different types of analysis with flexibility, and can potentially save biologists the hassle of waiting for a bioinformatician to get back the results for weeks. However, with OncoLand, we can visualize the mutation frequency in minutes. The following analysis pipeline clearly demonstrates the difference of using Array Studio and OncoLand. OncoLand makes cancer genomics research easy. Again, please check out our case study video tutorials for more details. TCGALand DNA-Seq Somatic Mutation Site Distribution View. The user can create a SampleSet, for example the one shown below, IDH1_mutaion, from the Analytics | Generate Sample Set | Generate Site Mutation Status SampleSet. Analytics | Integration Analysis | Sample Grouping to Mutation Test results. Rank by PValue, filter by only co-occurring gene in LGG and GBM. There are several ways to visualize co-mutation frequencies of multiple genes. While the "Alteration Distribution" displays the number of samples mutated in any gene of the GeneSet, "Somatic Co-mutation Frequencies" will display the distribution of samples with different mutation loads. The "Alteration Omicprint" efficiently displays per-sample mutation status of one, ten, or even hundreds of genes. You can also generate custom Omicprinst based on custom queries if you want to query mutation status. Please check out our case study tutorial videos to learn how to perform the analysis. Alteration Omicprint displays gene alteration status for multiple genes for corresponding samples. Custom quires for IDH1 and TP53 somatic mutation status, and BMP2 RNA-Seq FPKM are created. Next, check out Custom Query Omicprint view. For each custom query, sample status is displayed. As we can see, samples with mutated IDH1 and TP53 frequently over-express BMP2 in GBM. The user can subset by using MTBP expression level to test whether tumors with high expression correlate with other variables, such as survival. You can achieve this by generating a MTBP Gene FPKM custom query and labeling samples according to the query. Only tumor samples express high level of MTBP. Breast cancers that are estrogen receptor-negative, progesterone receptor-negative and HER2-negative can not be targeted by many common treatments for breast cancer, for instance, common HER2 inhibitors like trastuzumab, however other treatment plans are still available. With Omicsoft continuing to release new and updated Land products to meet the high demand from our clients, we continue to overcome challenges, accumulate unique expertise and establish our leading role as a disease genomics data service and content provider. (If you are not familiar with our Lands, check out our ImmunoLand and CVMLand ). The complexity of the process means that there is a real need for someone to come in and clean up the data that is out there, and to do it properly. At Omicsoft, thanks to our experienced data curation and processing team, we aim to become the leading provider and data hub for public disease genomics research. For more details, please refer to our wiki page on Omicsoft DiseaseLand Curation Ppeline. Please contact us is you have questions and suggestions. Array Suite empowers medium to large pharmaceutical, biotech companies and research institutes to perform state-of-the-art NGS and OMIC analysis with superior accuracy and speed. However, maintaining a server or HPC cluster may not be a cost effective solution for small organizations or research units that do not have high demand for NGS and OMIC analysis. Even for large pharmaceutical and biotech companies, the computing demand can vary from time to time and many companies have started to leverage cloud solutions for internal data management and analysis. Omicsoft has a long-term goal to be data location agnostic, allowing a customer to keep data locally, within their firewall, but also stored with a variety of cloud providers. This makes sense in a world where collaborators each use different platforms and the need to share extremely large datasets safely and efficiently becomes more and more important. Omicsoft's cloud solutions help both large and small pharma, biotech and research institutes manage their genomic and clinical data faster, more efficiently, and for a lower cost than traditional computing. Studio on the Cloud allows you to seamlessly run all Array Studio analytics from Amazon, combining the storage of S3 (Amazon Simple Storage Service) with the analytical power of EC2 (Amazon Elastic Compute Cloud). Easily scale up any number of instances for every analysis., while allowing users of Array Suite to easily intermix local storage-based analytics with cloud-based analytics. The user can create a standard Server Project, but instead of adding data from their server, seamlessly add data from the cloud instead. Folders in S3 brackets are mapped to the ArrayServer folder structure and to the user this appears seamlessly. Users can select raw data from a cloud folder or its subfolder. ArrayServer will launch one machine for each sample and run analysis using an optimized EC2 instance. Input files in S3 are copied to EC2 machines where EBS storage is attached. Next, Cloud instances are launched with Omicsoft software installed. The instances receive message from ArraySever and perform the analysis. When a job is finished, all results are uploaded to a S3 output folder. Omicsoft has seen an increasing number of clients that implement mixed mode solutions (cloud solution in addition to their SGE/PBS/LSF cluster). Omicsoft integrates cloud and cluster seamlessly so that users can perform jobs either on the cloud or on the local cluster with maximum flexibility, entirely according to their analytical need. For more details on cloud configuration, logic and cost comparisons, please check out our wiki page Example of running 100 CCLE samples on cloud. With the growing user base, Omicsoft continues to improve the cloud implementation. Recently, we significantly improved the data transfer speed between S3 and EC2 with AWS Command Line Interface (CLI). For example, downloading the reference library now only takes less than 1 minute compared to up to 20 minutes previously. This improvement helps users to reduce analysis time, hence saving money. If you are interested in knowing more technical details, please contact customer support. Visit our studio-on-the-cloud webpage or contact us at sales@omicsoft.com for general inquiries. More than 30 leading pharmaceutical and biotech companies. More than 100 attendees who are experts and scientists in the field of bioinformatics/genomics/genetics. Numerous discussions among attendees on the future of biomarker discovery, as well as best practices of data management, visualization and analysis. Omicsoft Corporation successfully held our kick-off Omicsoft User Group Meeting in Cambridge, MA on Wednesday May 4, 2016. We would like to thank all speakers and attendees, all of whom are extremely important in helping build out our platform successfully. We've received extremely positive feedback from the meeting, and hope to do it again in the future. Feedback on our software and services help drive our business, and the direct interaction with our customers during the event proved invaluable to us. For more details, please visit our 2016 User Group Meeting webpage. Above is just a glance of some exciting moments at our meeting. If you missed the meeting, we have uploaded our speaker presentations and videos on our 2016 User Group Meeting webpage. If you have any question with regard to the meeting, please contact us. North Carolina is a state filled with beautiful scenery and a moderate climate, spanning from the Atlantic Ocean beaches to the Appalachian Mountains. It has a culture rich in history and the arts, and world-class sports and recreational opportunities. This has helped NC rank as the 6th most-visited state in the US. It is also the 9th largest economy in the country, making North Carolina an exceptional place to live and do business. Combine that with quality health care, top universities, and a low cost of living, and it’s easy to see why most people who live here never want to leave (www.nc.gov). North Carolina offers one of the best climates in the country, characterized by mild winters, long pleasant periods of spring and fall, and warm, sun-filled summers. We have beautiful landscapes from the mountains to the coast. From RTP, a short drive west will arrive in the famous Great Smoky Mountains and Blue Ridge National Parks. The view while driving is stunning, especially in the fall, as a lush sea of red leaves envelopes the mountains. Drive about two hours east, and you can reach NC’s white sandy beaches, or a bit further to the Outer Banks and Kitty Hawk, the birth of our “First in Flight” moniker. This natural beauty will not come at a high cost either. North Carolina’s cost of living is very competitive compared to the rest of the country. From housing and utilities to everyday supplies and groceries, transportation and health care, our cost of living is below the national average based on the ACCRA Cost of Living Index. According to Zillow, the median Wake County home costs just $227,600, which is below the national average for similar metropolitan areas. North Carolina is proud to have been the first in the nation to simultaneously address learning standards, student tests and school accountability. We have some of the best middle and high schools in the country. NC also has outstanding public and private universities. In the Research Triangle alone, we have three nationally-recognized universities. Duke University (Durham) is consistently ranked in the top 10 best universities in US. University of North Carolina- Chapel Hill, the oldest public university in the US, is ranked in the top 5 public universities in US. North Carolina State University (Raleigh) has one of the best Engineering schools in the US. If you like sports, we have the 2015 NFC Champions in the Panthers (NFL), a rising NBA team in the Hornets, and a National Hockey League (NHL) team, Carolina Hurricanes, as well as the Charlotte Checkers (AHL). We also have some of the best college sports teams; both Duke and UNC known for their championship-winning basketball teams. Research Triangle Park (RTP) is one of the largest research hubs in the world, with some calling it the Silicon Valley of the East Coast. The “Research Triangle” is formed by the three hub cities of Durham, Raleigh and Chapel Hill (and includes the towns of Cary, Morrisville, etc. ), and the three major research universities in those cities (Duke, NC State, and UNC-Chapel Hill, respectively). Attracted by this incredible pool of talent, RTP is home to a host of Global Fortune 500 companies such as IBM, Cisco, EMC, GSK, and Lenovo, along with private ones such as SAS. There is an accelerating trend for established companies to relocate here, with Fidelity from New Jersey and MetLife from New York as the latest examples. This trend has not shown any signs of slowing down. The population in areas around RTP, such as Wake County, grew by 43.5% between 2000 and 2010, which was the highest growth of any metropolitan area in the nation for that period (newgeography.com). The Raleigh-Cary metro region is projected to be the fastest growing region in the U.S. over the coming decade, and expected to DOUBLE in the next two decades (proximityone.com 2011). (1) OmicSoft has the stable financials of a mature company, with the growth opportunity of a start-up. In addition to a highly competitive salary and bonuses, our other benefits (health insurance, 401 K, PTO) are robust as well. In addition, employees will be granted stock options, because we want everyone to buy in and be a part of the OmicSoft success story. (2) OmicSoft is still growing quickly. The chance for young employees to take greater responsibilities is significantly higher than in a larger firm. For example, one of our employees was just promoted to Associate Director in less than a year. At OmicSoft, we believe your growth should not be tied just to time in your job, but ability and passion, and we evaluate our employees accordingly. (3) OmicSoft is a leading provider of bioinformatics, next generation sequencing, and cancer genomics solutions in the industry. An OmicSoft career provides an enormous opportunity to learn/practice hot topics such as HPC computing, cloud computing, vector databases, software development, NGS analytics, external tool integration, etc. (4) OmicSoft’s clients include leading pharmaceutical companies. OmicSoft employees routinely interact with research scientists to optimize analysis pipelines and solve problems, and our software/data solutions evolve to support new customer needs. Your work will directly impact discoveries of new treatments for cancer, immunological diseases, and more. So, if you are talented and want to move to a beautiful area with great career prospects, come to NC and join us at OmicSoft. We look forward to meeting with you. Omicsoft is pleased to announce the move to our new office at 5001 Weston Parkway, Suite 201, Cary NC. The Omicsoft team has grown over the past 8+ years, and all of us are excited to have a new building to continue to help our clients with their bioinformatics needs. Over the past decade, genome-wide association studies (GWAS) have been widely used to identify disease associated gene loci. However, the majority of the identified variants are in noncoding regions, making it difficult to identify functional variants and eventually actionable drug target gene/protein. Our newly released GeneticsLand can help to accelerate identification of drug target with its powerful ability to integrate variant annotation, associated eQTL and association study results. In this article, the author investigated 4734 variants from 152 IBD associated GWAS loci and identified 18 prioritized noncoding SNPs that may contribute to IBD by regulating nearby genes. Having the list of noncoding SNPs, GeneticsLand can help to quickly research SNP annotation, association, eQTL and more. 2. GeneticsLand integrates phenotype association information from published research articles. It allows users to research other phenotypes associated with the SNP of interest. In this example, SNP rs2231884 is shown to be associated with IBD in a Nature article from 2012, reinforcing the finding in the original article. 3. GeneticsLand helps user to research eQTL information, which may lead to discovery of new associated genes. For example, in the original article, the author identified CCDC85B, FIBP and FOSL1 as nearby genes and suggests the SNP may contribute to IBD pathogenesis by regulating nearby genes. However, none of these genes was known to be associated with IBD or any immunological related pathways. By using GeneticsLand, we found that SNP rs2231884 has an eQTL association with a couple of genes, including CTSW, which encodes a cysteine proteinase that may have a function regulating T-cells cytolytic activity. (1). Mesbah-Uddin, Md, Ramu Elango, Babajan Banaganapalli, Noor Ahmad Shaik, and Fahad A. Al-Abbasi. "In-Silico Analysis of Inflammatory Bowel Disease (IBD) GWAS Loci to Novel Connections." PloS one 10, no. 3 (2015): e0119420. GeneticsLand is a data warehouse for variant level data and provides a turnkey solution to genetic data storage, analysis, and annotation to facilitate a wide range of genetic-based activities in drug discovery and development. It allows user to import and export VCF files, array based data, imputed array data, eQTL data, association results, and variant annotated data. GeneticsLand is a subscription, adding value regularly with new content after purchase.. It is a search engine that not only stores millions of samples but also provides fast, easy and accurate search of variants, genes, chromosomal region and phenotype data. Big Data: GeneticsLand can store up to one million VCF samples per "Land" (database), (assuming 100 million SNPs per sample and essentially unlimited array based files). It can support thousands of association studies. At the same time, data storage is compressed, significantly reducing IT storage burden. Fast: GeneticsLand can access 100 trillion data points and perform advanced visualizations and dynamic annotation in real time. Queries of 10 billion data points can occur in much less than 1 second (0.01 seconds in benchmark testing). Integrated Solution: GeneticsLand will provide biologist-friendly and high level client for genomic/genetic data integration (including a future web-based client), accelerating target identification and validation using our sophisticated queries and visualization system. Our adjacent products, including OncoLand, ImmunoLand and CVMLand, work together with GeneticsLand to provide comprehensive genomic research tools that empower researchers in all disease fields. How could GeneticsLand help you with your genetics research? Stay tuned for more information in the coming days and weeks! Contact us at: sales@omicsoft.com for any questions or request for demo. 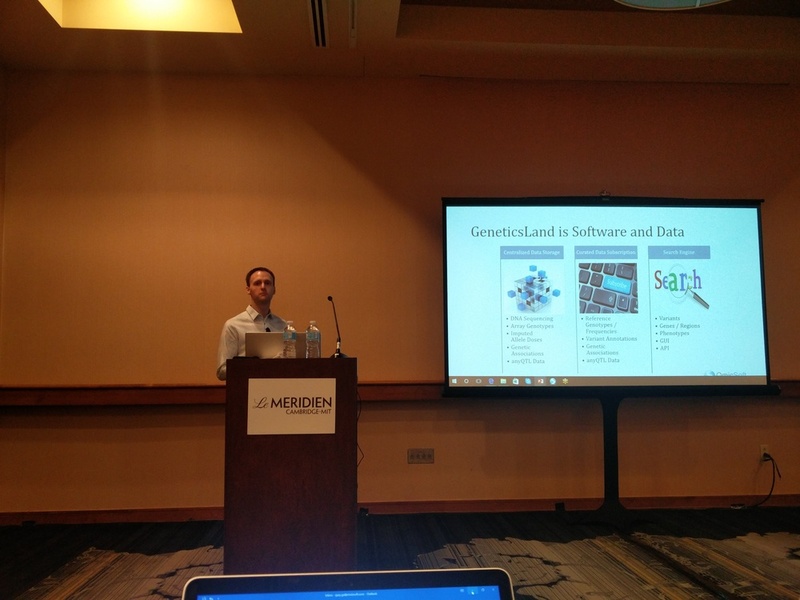 The increasing number of public genomic datasets and customer demand for integrated database have been driving Omicsoft's Land database development. In the past couple years, our flagship Land, OncoLand, has been an overwhelming success and is now being used by most of our pharma and biotech customers. Encouraged by our OncoLand success, we are in the process of bringing a series of DiseaseLand products to our customers, including ImmunoLand and CVMLand. CVMLand, Cardiovascular and Metabolic Disease Land, is designed for diseases such as cardiovascular diseases, diabetes mellitus, glucose intolerance, islet autoantibody positive, lipid metabolism disorder and nutrition disorders. Currently it has more than 4000 samples with RNA-Seq and Expression data. CVMLand View Highlight-Comparison View. All datasets have been curated as belonging to different "Comparison Types", including Disease vs Normal (shown here). Data have been carefully curated using a set of controlled vocabulary, allowing for visualizations like this one, showing fold changes (sized by p-value) for each disease category. To keep up with the rapidly increasing number of public datasets, CVMLand updates every quarter. We are constantly looking, curating and processing new datasets. Given our customer-driven product development strategy, we welcome all our users and potential users to request their dataset of interest. More more details, please check out our CVMLand webpage. Please feel free to register for a CVMLand trial on the webpage. If you are interested in cardiovascular or metabolic disease genomic and clinical data, please contact us at sales@omicsoft.com.